The Domenico Zipoli Institute has prepared resources and recordings in light of the forthcoming Tercera Edición of the Misal Romano, for use in the United States. The first use date is the vigil of Pentecost, 19 May 2018 with mandatory usage beginning Advent I. Special thanks to collaborative efforts of many, in conjunction with the Institute of the Incarnate Word, US Conference of Catholic Bishops, Dunwoodie Seminary of Yonkers, New York, as well as St. Charles Borromeo Seminary of Overbrook, Philadelphia. A reminder of the Institute’s upcoming 2-day conference on Apr 27-28 in Washington D.C. where these materials will be put into the hands of many. Register today and plan to attend! I am not a musician, but for when I heard the different renditions of sung parts I can feel they do not make a whole in tonalities. If sung parts were considered, they should have taken the already settings done after the liturgical reform, which obviously were more beautiful. The introductory parts are new but poorer. The Gloria is a rendition in Spanish of the old Gloria sung in latin in the Mozarabic liturgy, the opening prayer is from latin tonality. The preface is from the English missal, which in no way make any sense in Spanish, maybe because the cadences of both languages are different. The sung part of the eucharistic prayer are different but again poorer than their counterparts of the 1970s. All this leads to think that whomever did it, only though that Spanish is only spoken in the states and he/she did not look for other sources in latin America and especially in Spain where all this began. 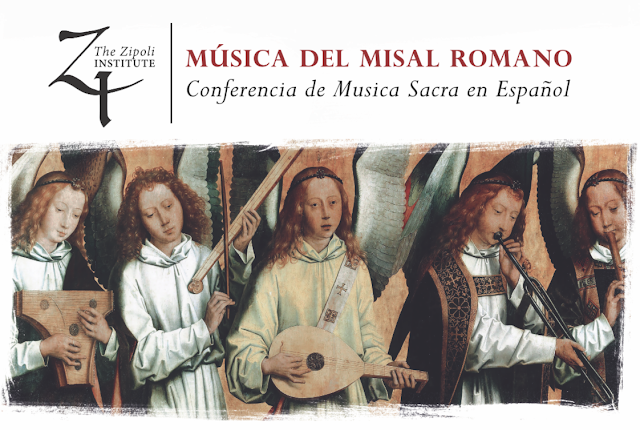 But I gotta blame the Latin American conferences of bishops who paid very little attention if any to the sung parts of the mass when printing the missal; same for seminaries thou good in theology are very poor training seminarians in singing. I was never trained at the seminary to sing the parts of the mass because the missal did not have them. All I know is because hearing old priests singing it. At the meantime I understand the USCCB when bringing this missal out. They reinvented or rescued something that was lost or didn&rsquo;t exist at all. I have to disagree. The whole point of using a Gregorian mode for chant, whether in Latin, English or Spanish, is to make sung liturgical prayer accessible to the entire assembly, which this accomplishes. While it admittedly lacks in musicality, it makes participation much easier. Our English speaking community has been chanting the solemn mode for years, and the Spanish community has enthusiastically responded to returning to chant and are already singing it heartily. But the biggest benefit in my mind is how this mode allows us to enter into each other&#039;s liturgies and participate whether we know the language or not. I suspect this was done intentionally and we&#039;re all fired up about the next big bilingual liturgy we observe here, which will be Thanksgiving. What a powerful witness to the unity and universality of the Church, and at such a critical time in our society. For my part, I give it two thumbs up.